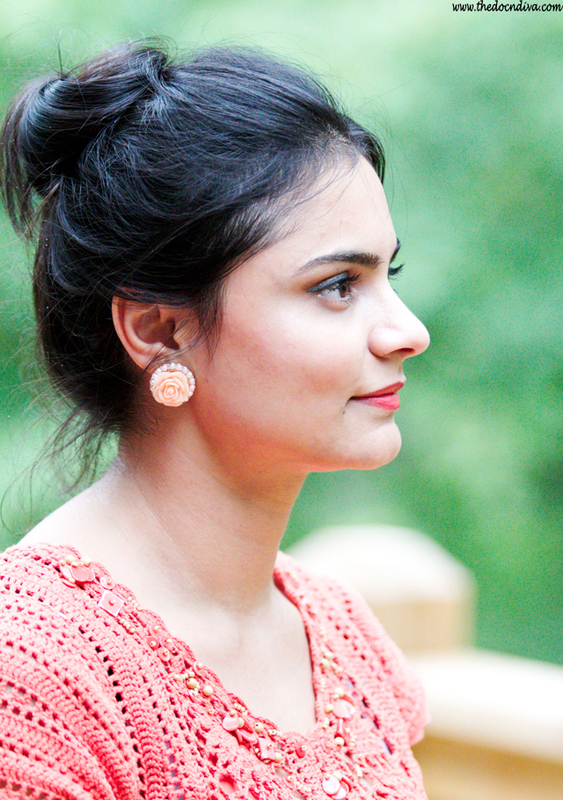 Believe it or not the inspiration of this outfit came from the earrings I am wearing! Can you imagine it is only for $2.88 from Walmart? As soon as I saw it in the store I had to grab it! 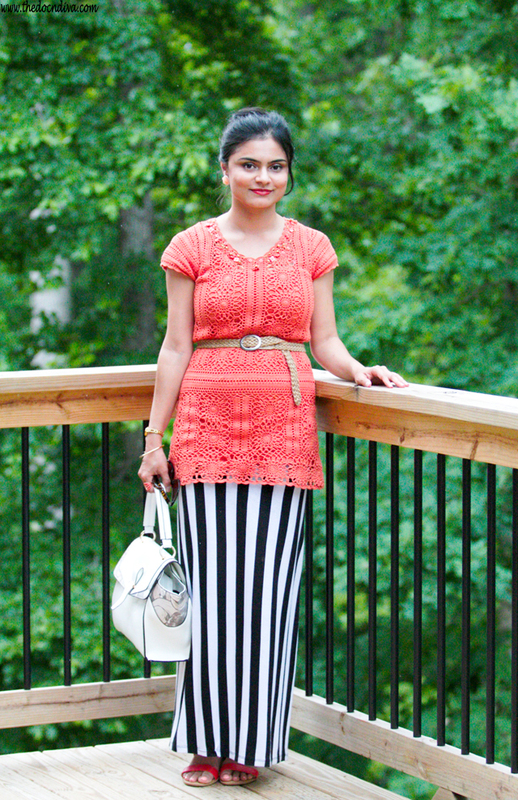 The crochet tunic top I am wearing here is almost 8 years old! It is from Debenhams, UK! I dragged it out and washed and wore just so I can wear my new earrings with it! 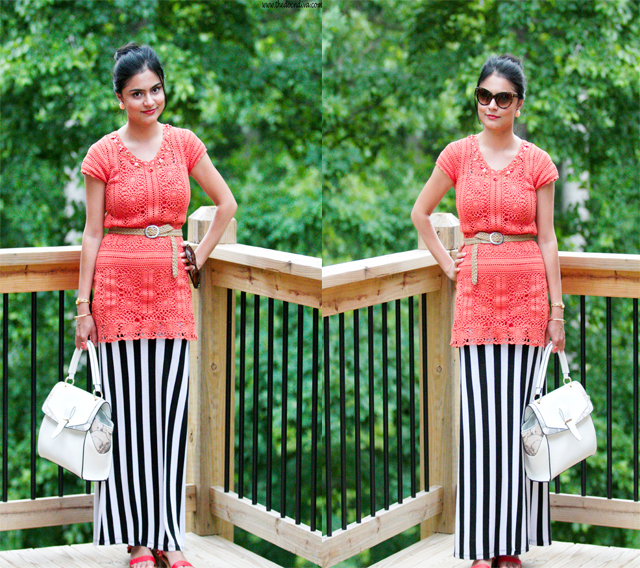 Black and white striped Maxi dress and on top the orange tunic together with a belt! 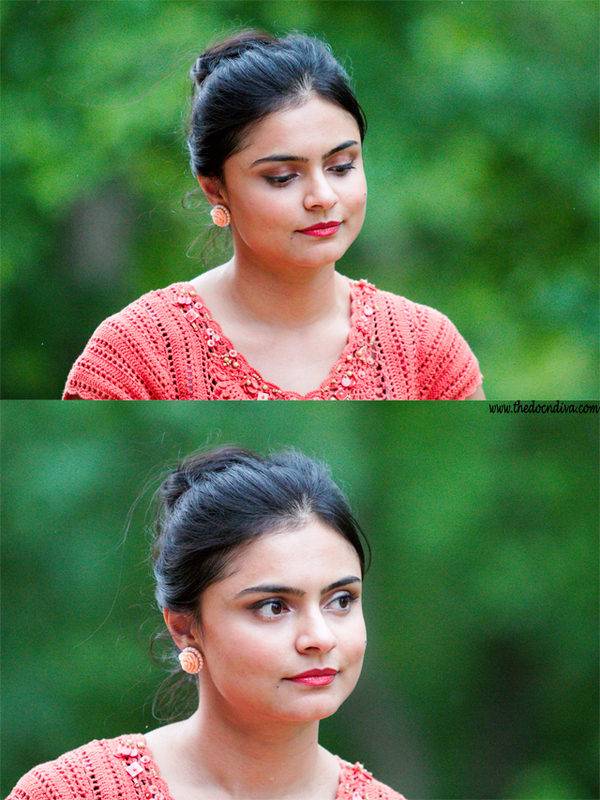 For hair, I did my favorite and my go-to messy-bun, for makeup I had my eyes done; you will find a tutorial of similar eye makeup here and used an orange lipstick! 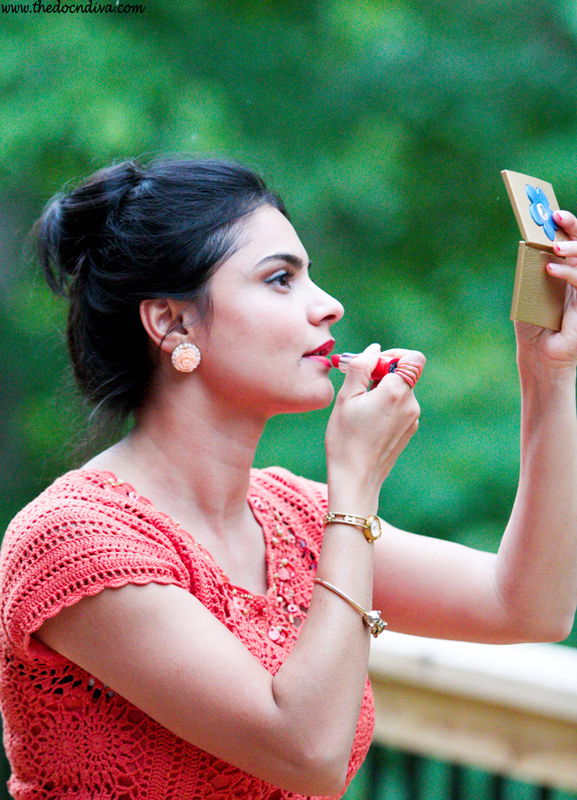 Yes, it is an orange lipstick, though it looks different in the pictures here. Happy july 4th in advance to all my USA readers! Everything about this look.is just WOW..n the nail art fantastic. so perfectly paired, orange looks great on u, plus am gonna try wearing it with stripes next time. 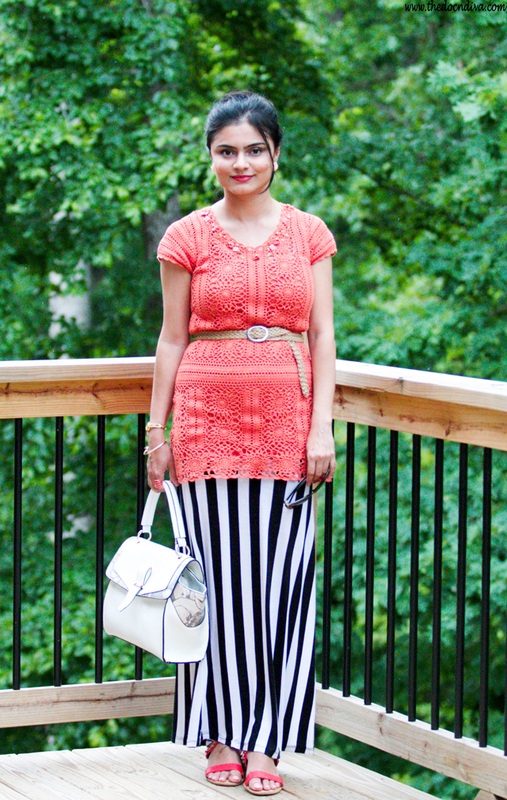 Let me know if u wish to follow each other ..
u look so prettty here...love the stripes and orange combo! 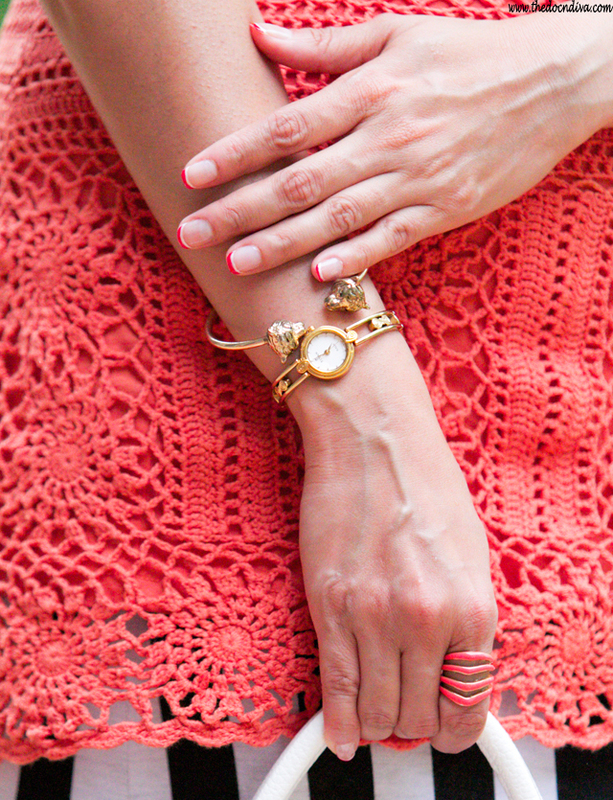 The look is cool !like the print clash with the lacy top ! The hair and lipcolour add the wow element to the look. ! Pretty Miss! Lovely photos! The sweather is cute.